On SCAS 1.1, you can find now pattern templates to run Derby 10.8.2.2, Tomcat 7.0.27 and JMeter 2.7.First, let’s recap what is a template: When you create a pattern based on a pattern-type, you have the possibility to save it as a template. The template can be reused as based to create new pattern or template. The template will appear in the list of template for a given pattern-type when you create a new pattern (see picture below) but a template doesn’t appear in the list of available pattern and thus can not be deployed. Often, templates are created because the designer doesn’t have all information or assets to complete the pattern and thus the user can complete the template to create the final pattern. It is the case with these three new templates, for each template the product distribution is missing and you have to download it yourself from the official website and then upload it in the pattern. You can find a short description on each template by navigating to “Catalog”->”Virtual Application Templates”, then select “Application Pattern Type for Java” and select the template you would like to investigate. 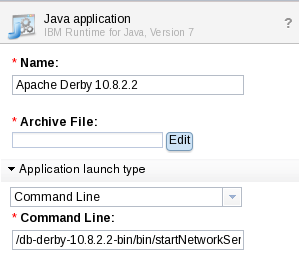 This entry was posted in IBM SmartCloud Application Services and tagged #ibmcloud, #SCAS, #SCAWS by ITDoVe. Bookmark the permalink. Thank you for sharing. I learned a lot from your blog. I’d like to make sure whethere these templates are provided by default on SCAWS v1.1. 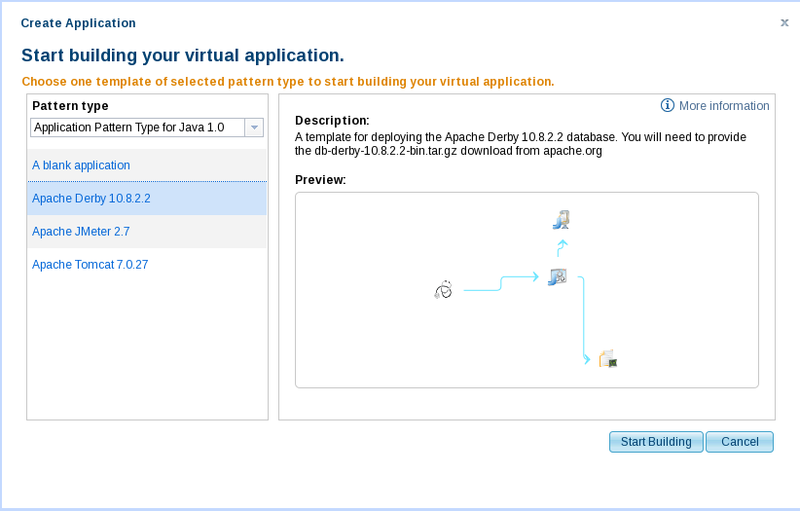 In my environment, there are no templates in Application Pattern Type for Java 1.0. Yes, they are provided by default on SCAWS 1.1.